EASTER COLORING PAGES & FREE CRAFTS : This Page is a List of Links to Easter Coloring Book Printouts, Printables, and Free Paper Arts and Crafts Activities. Here are some Links to Easter Coloring Pages, Printouts, and Printables, and Crafts Activities. 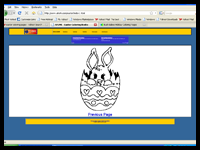 Below you will find some Links to Easter Coloring Pages, Printouts, and Printables, and Crafts Activities. Also visit Easter Crafts. 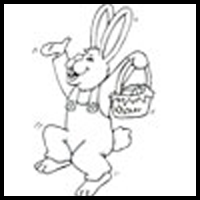 Easter Bunnies Coloring Pages – The site has a large selection of Easter coloring pages and activities, just perfect for finding all of the Easter coloring pages for your children that you need. 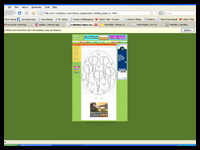 Papa Jan.Com – This site has free printable Easter Coloring pages. It is suited for children as well as adults for fun. Ivy’s Easter Coloring Pages – Easter started out during ancient times among the country dwellers in Europe to celebrate the arrival of spring. Today Easter is celebrated by many faiths and cultures each adding their own special meaning. 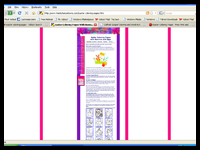 Coloring Book Fun – Here is an Easter coloring book pages site with many options. More Coloring Pages – Here are Decorated Easter Eggs Coloring Pages for Kids. First School.ws – Here are Easter coloring page that kids would surely love for fun. It includes different stories of the Bible. Activity Village.co.uk – An enormous collection of original Easter coloring pages for you to print and enjoy with your kids! Primary Games – Here is a collection of Easter Coloring pages with lots of choices which the children would surely like to color. 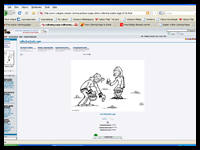 DLTK Growing Together – Here is mix of secular and more religious Easter Coloring pages collection. Family Fun.Com – Here you will find dipped, swirled, dyed, and sculpted Easter eggs for decoration. Apples 4 the Teacher – This Religious Christian Easter coloring pages make great mouse practice activities for younger children but can also be used with older children beginning to learn how to read. If the child is unable to read the sentence that goes with the Religious Christian Easter coloring page, have them click on each word to hear the sentence. KABOOSETM – Use your crayons, markers and paints, and have fun coloring these printable Easter Coloring pages. 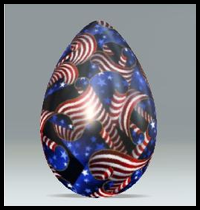 Enjoy decorating the eggs and making your picture extra special! Calvary Kids Pages – Feel free to browse these Easter coloring pages site where you can find other fun activities for kids and teens. 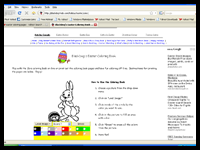 DIY Hobbies & Activities on SQUIDOO – Printable Easter Coloring pictures, posters and cards to color in or use for Easter crafts. Holiday Online Coloring Book – Here you will find personalized online Easter coloring pages for kids. Coloring.Com – Here is a collection of black & white Easter coloring pages which easy to print and color. Momsnetwork.com – A large collection of Easter coloring pages that your kids will enjoy along with keeping them busy during your crunch time, trying to get things done in your home office. Free Coloring Page – This will help children develop many important skills. It will help form the foundation for early learning success. This specific section is for Easter coloring pages. Easter Coloring Pages for Kids – Kids love coloring and all the fun things associated with Easter Celebration. These Easter coloring pages offer those festive items to keep kids busy and entertained. Pastiche Family Portal – A printable Easter coloring page or art activity sheet for kids such as bunny coloring pages, Easter Lily coloring sheets and printable Easter cards with pictures to color. Crayola – This site has over 1,000 free coloring pages for you to choose and they have plenty of Easter coloring pages and printouts as well. Printfree. Com – You can customize these with your text to add times and dates. It is a nice coloring page to let a kid color an Easter egg or bunny for Easter celebration. Super Coloring – Each of our children and us are waiting for Easter Day to enter our houses and hearts. 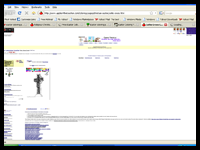 Here in these sites you can select different pictures to color the Easter celebration. MES-English.Com –Here are free Easter coloring pages, printable pages, holiday activities, cute Easter images for coloring, and color in sheets for students. 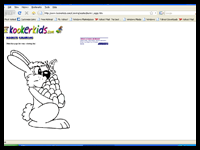 The Kidz Page –Here are Easter coloring page for children to print out offline with crayons for fun. 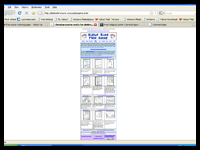 It has hundreds of printable coloring pages for classroom and personal used. Christian Preschool Printables – Each egg carton is filled with a dozen colorful plastic eggs. You can find here a miniature symbol of the Easter story; an easy-to-understand booklet featuring Biblical stories explaining the significance of each object. Free Kids Crafts. Com – These Easter projects are created by Terri, Betty, Jamie and other talented staff members at MakingFriends.com. They have been created exclusively for publication on FreeKidsCrafts.com with supplies you'll be able to find around your house. 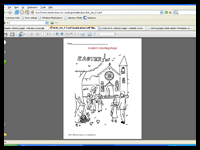 Coloring Castle – These Easter coloring pages requires Adobe Acrobat Reader. 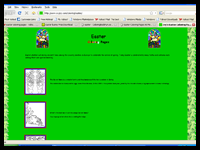 It has different Easter Coloring pages to select and all are downloadable. Moms Break Free Printable – Jesus Dove is a free printable coloring page. Perfect at home, church or Sunday school activities. 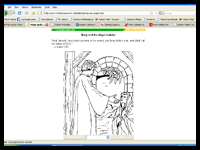 ChristianAnwers.Net – An online Easter coloring pages with Biblical passage included. Have fun in coloring of the selected pictures. 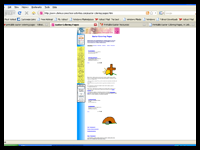 CDK – This site has collections of Easter holiday pictures. 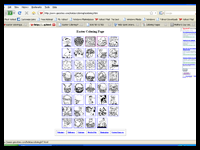 You can select and click each picture to start coloring and have fun. 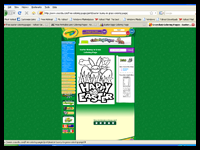 Collecting Easter Eggs – This site has 22 images as there collection of Easter Coloring pages. 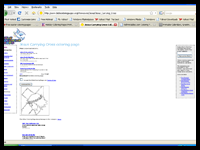 It can be downloaded to your hard drive and it is easy to print. TLSBOOKS.COM – This site has a variety of free printable holiday themed and Easter worksheets and coloring pages for home and school use. The Color. Com – Color pictures, email pictures, and more with these Easter coloring pages. 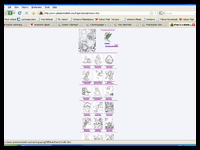 When the online coloring page has loaded, just select a color and start clicking on the picture to color it in. FreePrintableColoringPages – These Easter coloring pages are easy to download, customize, and print. 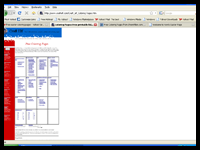 These can be downloaded in .PNG format. Lee Hansen Graphics – This coloring page collection includes free printable Easter coloring sheets with pictures of bunnies, eggs, baskets and peep chicks plus lovely spring posters and pages to color or use for die cuts, coloring crafts and pieced paper crafts. 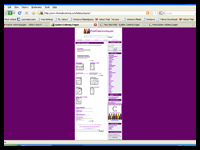 Making Friends.com – Here there are thousand of craft project sheets, recycled ideas & free printable Easter pages. Print these and enjoy coloring. 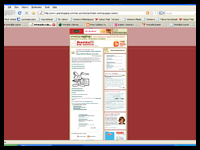 Spark Plugging – Seasonal Easter kids activities, kids craft, coloring pages and easy recipes can be found in this site. You can print and color the picture you want; online or offline. 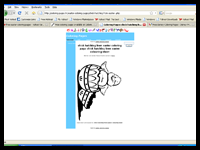 Moody Publishing – Here are Easter Coloring pages were you can customize the picture you want. You can select different pictures and print it to start coloring. Shirley’s Preschool Activities – Free printable Easter coloring pages where you can copy, share and use it for Easter projects at your home, classroom or children’s Bible lessons. AKidsHeart – A Kids' play and learning site with resources for kids and their teacher including Easter coloring pages. Lucy Learns – Use this free Easter coloring book page with your kids. 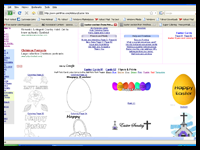 Sunnie Bunniezz – This site consists of different Easter symbols and pictures to color. Just click its pages on the list and start to color. 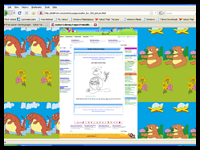 Phee’s coloring Book – This site has wonderful Easter pictures and coloring pages for everyone to color. It is suitable for kids and for adults too. 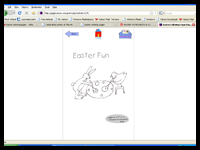 Kookerkids.Com – Print this Easter page for some enjoyable fun. It is seasonal coloring page where the kids have fun to color. 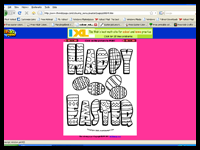 Awesome Clipart for Educators – This clipart site also has Easter coloring pages for kids to use for free. 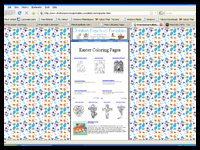 FreeKidsColoring.Com – Here are free downloadable Easter coloring pages in PDF format. You can print it and have fun to color. Party Supplies Hut – These free printable Easter Coloring Pages are a fun way to keep the kids occupied at the dinner table or a party. Easter Party Planning every Easter we find the stores filled with various paraphernalia to make an Easter party more enjoyable: stuffed chickens, chocolate bunnies, pastel-colored baskets and the like. All Kids Network. 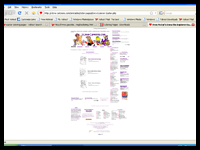 Com – Here are different list of Easter coloring pages in this site. Just click on the image you want to view and print the larger picture on the next page and then use your back button to get back to this page to print more Easter coloring pages. Top 50 States – Shown on this page are three printable Easter coloring pages and at the right side is a patriotically designed Easter egg. For more free printable pages, click the link at the bottom of this page. 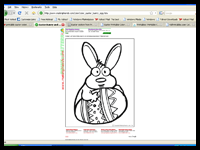 Dgreetings.Com – Print these Easter coloring pages and have fun to coloring. 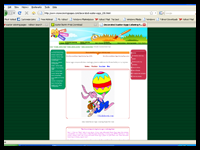 Sites is suited for children in Easter. Games Craft Coloring – Printable Easter coloring pages for kids: easter bunny, Easter hen, and Easter eggs. Click on the picture to open a printable page then print out and color funny Easter pictures! My Bunny Farm – Enjoy coloring fun Easter time pictures, Easter Coloring Pages and Pet Rabbit Coloring Pages. 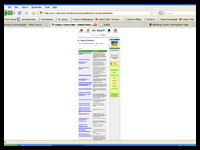 Click on a thumbnail to see and print the full size picture. 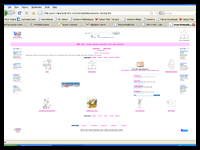 Kid Suki .Com – Here are free Easter coloring pages and friendly site for children. Just click on the thumbnail and print out the picture. 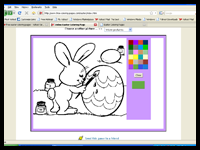 ClassBrain.Com – Select an Easter coloring page and get creative for Easter. Some of the coloring pages have been designed so that they can be cut out and used as decorations. Very Best Kids – An Easter coloring pages for kids of Nestle Company. Children need to guide by the adult in performing the instructions. Kinder Art – Print and color original Easter coloring pages again and again and again. This Instantly Downloadable E-Coloring Pack contains twenty-five (25) full page (8-1/2" x 11") coloring pages that you can print and color. 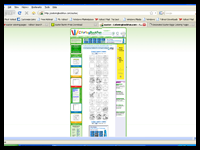 You need to buy this software so can have licensed to distribute the pages to your students and/or children. Abcteach – This is a directory of Easter coloring pages. You can choose the picture you want to color and print. 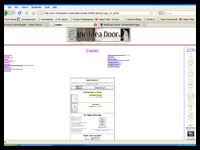 The Idea Door –This is site of Easter coloring pages with lots of collections to select with Biblical stories and poems included. Blackdog4kids – Here you can play Easter coloring book on-line or print out the coloring book pages and have fun coloring off-line. Instruction for printing this page is included. 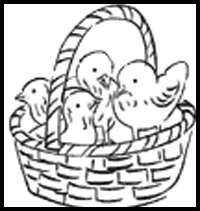 Lil’ Fingers – This is a collection of Easter Coloring pages and symbols. 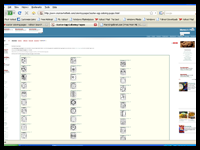 Click each item to open a larger image in a new window. Family Fun Cartoons – Whether you are in a silly mood or having a grumpy day funny Easter cartoons are a great way to add a laugh and bring some more happiness into your life. Laughter is contagious and so is the clean humor found at Family Fun Cartoons. 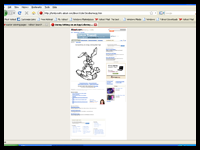 About.com – “Bunny sitting on a Coloring Page” are one of the choices you can found in this site. Explore it and have fun coloring Easter pictures. 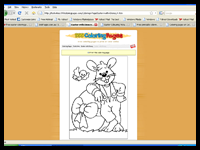 FunMunch.com – Have fun coloring Easter themed pictures. I-love-cartoons.com – This is a list of printable Easter Cartoons like Dora, Flintstone, Garfield and many more. Print and color it in your style. 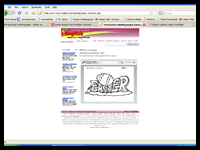 Geocities.Com – Easter printable pages with different pictures to choose. Kids will surely enjoy coloring on each picture. Fun-with-Pictures.Com – These Coloring Pages are among the hundreds on this site for kids to print and color. Have fun coloring them and use them creatively. Holy Spirit Interactive Kids Zone – This is an Easter Coloring Pages section. Every week we will present a new picture based on a Biblical theme for you to color. We will soon have a section where your own artwork can be displayed. Easter Joys. Com – This is a collection of Easter coloring pages for kids. 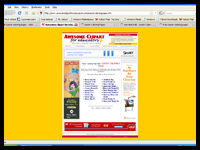 It consists of different categories of printable clipart. Bible Coloring Pages – There are more than 450 Bible coloring pages that you can download and print. These Easter Bible coloring pages are easy to download and print. Kids Front – Here you will find Easter pictures for your kids to color. 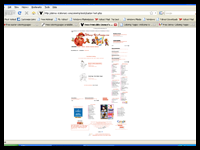 Disney-Stationary.Com – Kids will love this site of Easter Disney icon. 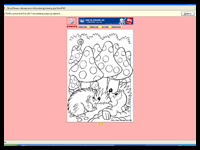 It has easy to print and downloadable coloring pages. 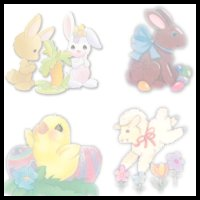 Coloring-Pages – Browse this different Easter coloring pages to select. Let the children enjoy the fun of coloring different Easter pages. Chubbie Cubbie’s Coloring Corner – Here are seasonal Easter coloring pages suited for children artful mind. 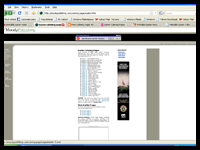 It is easy to print in PDF format. Raising our kids – Here are wonderful caricatures of Easter holidays for children to color. Encourage your children love arts by coloring this Easter coloring pages. 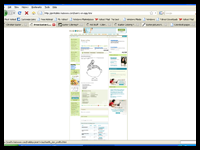 Home School Helper – This is a site dedicated to homeschoolers who want to help each other. Everyone is invited to participate to increase the knowledge of our child by printing these coloring pages. This particular page has an Easter bunny and Easter chick to color. Clip Art n’ Crafts – Coloring pages for Easter and spring time: lambs, Bible and cross, Easter peep chicks, Easter basket with eggs, Easter Bunny with bonnet, baby duckling. 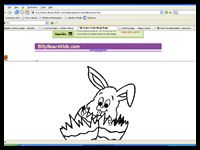 Kids-n-Fun.Com – This Easter coloring pages offers lots of activities for Easter Celebration. Here you find all the free Easter printable coloring pages. 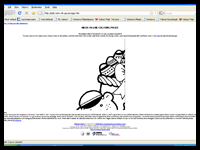 999 Coloring pages – Here are free Easter coloring pages to print or colors it on-line. It has lots of choices to select in the list of categories. Children would surely enjoy in this site. 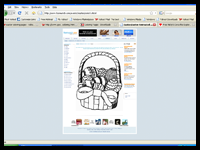 eParenting – You can customize these Easter coloring pages to the way that you want them to be. Here is a blank Easter egg so can color it in your own style. Educational Coloring Pages.Com –Here are free printable Easter coloring pages for your kids. Also available are Easter Coloring Books. Craft Elf – Great Kids activities & free printable coloring pages for the child in your life. 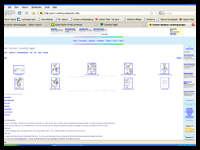 It has 15 category links you can choose, here you will be coloring pages and printouts for Easter holiday. 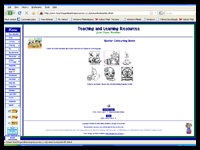 Teaching and Learning Resources - Here are coloring book pages and printouts for Easter...hopefully your kids will enjoy this free coloring book for Easter. Sherri Allen.Com – Here are free Easter holiday coloring pages for your kids. To print free coloring pages, just click t he picture you want. 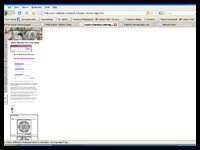 This will open a new window and use your browser’s “Print” functions to print the coloring page. Morning Kids – Here you will find a collection of different Easter coloring pages where most kids love to color. Guide the children on how to print the picture and let him start to color. 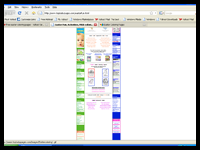 Top Baby pages.com – personalized Easter items, Easter Craft, Easter coloring pages can be found in this site. 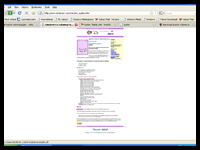 Browse this and learn more for Easter celebration. Coloring Book – Have fun with this Easter coloring page! It is easy to print and enjoyable to paint. 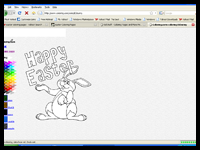 HubPages – Here is a design where you can personalized an Easter Coloring page. 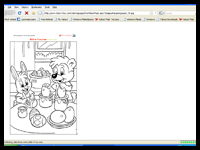 Just follow the instruction given on how to use these coloring pages. Milliande – Here a great way to color in a repetitive pattern within a circle, it relaxes the mind and allows to see color sequences and pattern repetition in various different angles and perspectives. 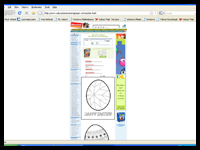 Simply click on the Easter Mandalas coloring picture a large image will open up in a separate window ready for you to print. 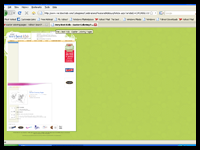 Crafty Bunny.Com – Bunnies, Eggs, Peeps, Baskets and Flowers...Oh My! Enjoy many hours of coloring fun with our selection of Easter-themed Coloring Pages. Bible Kids Fun Zone – Since Easter is the biggest Christian holiday of the year, of course you need lots of fun, easy, engaging Easter crafts for children, Easter Sunday school lessons, and Easter activities for your Sunday school preschool program. It offers interactive Easter lessons, crafts and pictures to color for your preschool children and toddlers. Fun Room – Here a great place to find fun things to do year round, but specifically you will find Easter holiday coloring pages and printouts. You’ll find everything you need to be creatively in this site, including lots of fun Craft Kits & Supplies, Party Stuff and Toys & Games. Easter-Coloring.Com – Here is a collection of Easter Coloring pages in three categories. It is suited for children beginning to learn arts. MomsWhoThink – These Easter Egg Coloring Pages will help your child get ready for Easter. You'll find Coloring pages with many different Easter egg designs for your child to enjoy. Easter Stuff – Trying to find some neat things to do while your kids are on Spring break over the Easter Holiday. Easter Stuff has many pages here to print out so the children can color. Also available games such as seek and find words to print out and more! Kid Soup Membership – While many families have their own traditions to celebrate Easter, often eggs, bunnies, chicks, and egg hunts are part of the festivities. Here are a few fun ideas for Easter crafts and decorations, educational games, and Easter inspired activities to help you celebrate this springtime holiday with your family or children in your care. 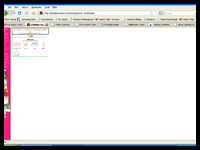 Have fun with this site. AFunk – Many people think that Easter is about Christ, eggs, bunnies, and chocolate. However, there is more to this holiday then meets the eye. It has a lot more to do with another important issue. 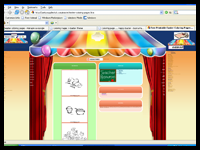 Rexanne’s Easter – This site is perfect fun for Easter. You can customize your M&Ms to reflect the holiday. You can also have your own images and words imprinted on M&Ms. NIEHS On-line Coloring Pages – You can color this Easter picture on-line. Just click on the crayon color of your choice at the bottom, and then point and click on each area to be colored. 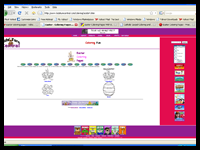 Ziggity Zoom – You can play Easter games, color pictures, read and listen to stories about many different characters, watch mini-videos or explore Play Worlds and other activities. 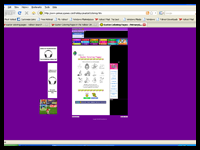 This site designed for kids and their parents to encourage creativity, reading and really let your imagination soar. Preschool Coloring Book – free Easter coloring pages for children. 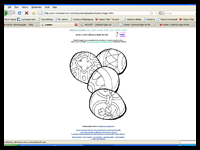 Click the link item on the list to preview and print coloring pages. TeacherVison – Keep the kids busy with this printable coloring page with an Easter theme. Explore the spring holiday of Easter through art projects, math practice and review, and language arts activities, such as reading comprehension and creative writing. Billybear4kids – A personalized Holiday Stationery to print for free around Easter time with your children. Kids would love to color this printable Easter coloring pages. 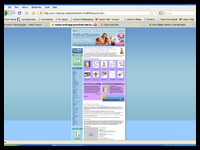 AngelWinks – On this site you will find some Easter coloring book pages and printouts to do with your kids. Kids’ Turn Central – Print more Easter coloring images on this site just in time for Easter! Click on the link below each image to go to a printable page.